The accelerating pace of change in HE and the learner experience present ongoing challenges for universities in providing targeted peer2peer support designed to meet the needs and expectations of both the institution and those of the learner. While strong connections with peers is recognised as central to student engagement and success, the challenge is how to enable these interactions to happen in ways that meet the learner needs in an environment characterised by diversification, massification and an increasingly online presence of students. Aligned with these challenges is a tightening of resources where universities seek accountability, quality assurance, and strategic alignment directing funds to initiatives that demonstrate high impact and resource efficiencies. Addressing these issues is central to sustainability of peer 2 peer programs and initiatives. This Peer2Peer Network seeks to create a community of practise for people to share, collaborate and mature our thinking and understanding around best practice in p2p learning engagement. Dawn Jones leads Innovation and Ideas, Peer Support, in Deakin’s Student Academic and Peer Support Services area. With more than 30 years of hands-on teaching, management and student mentoring experience, her current leadership includes advising on all student peer mentoring programs and developments at Deakin, including the PASS and CloudPASS programs, Maths Mentors, Success Coaches, Students Helping Students Mentors, Study Hall and the Deakin Student Mentor Community of Practice. In 2014 Dawn and her team created the Deakin Students Helping Students Strategy to bring together more than 30 social, academic and practical peer support programs across the University to establish common ground and a One-Deakin approach to best practice, reward and recognition, recruitment and training and other areas. More currently Dawn has created and implemented a coordinator development program for new and established peer support program coordinators and has launched the Victorian Peers4Peers Network, a STARS Conference initiative, with her colleague Dr Rosalind McFarlane from Monash University. Deakin operates to ensure that engagement and innovation are grounded in all aspects of Deakin life, and student peer mentoring is a crucial part of students’ Deakin University experience. Working on the principle that ‘learning happens everywhere’, Dawn has led Deakin’s student mentoring community to become a key factor in the integration of all Deakin experiences, and has placed Deakin student peer mentoring in a vibrant, global context. Rosalind McFarlane is the Senior Program Coordinator for English Connect at Monash University. A co-curricular peer program, English Connect delivers language in cultural context, communication skills and student engagement programs. With a background in cross-cultural literature, Ros leads the Conversational English and Language for Employment portfolios. These include Let’s Chat, a semester-long engagement program focusing on everyday English in an Australian cultural context, as well as Workplace Talk, focusing on professional communication skills for final year students and those doing work-integrated learning. Ros also leads collaborations with the Faculty of Business and Economics regarding global professional practice as well as the Faculty of Education on placement-related communication. In 2017 Ros also launched the Victorian-Tasmania chapter of the STARS Peers4Peers Network in collaboration with Dawn Jones from Deakin University. Monash University is invested in student engagement especially in the peer learning space. With programs such as PASS, Peer Mentors and English Connect, the university is looking at new innovations in peer learning and how they contribute to the student engagement experience overall. With English Connect, Monash is committed to providing excellence in international student support and global outreach for all students. 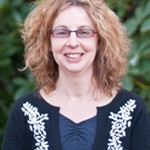 As Director, Student Retention and Success, Jane leads a team of academic and professional staff, including student leaders, working across all UTAS campuses to provide language and academic skill development, academic transition programs, career development, student advice and support, as well as a range of peer learning and engagement programs. Jane also contributes to strategic initiatives and policy development that advance student learning, engagement and experience within the context of faculties, centres, and institutes and at the institutional level. Jane has held management positions in both education and industry. 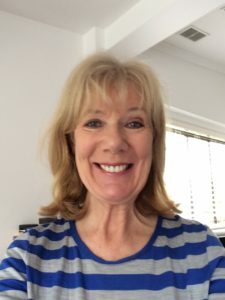 Jane’s teaching and coordination experience spans thirty years and at a tertiary level includes mathematics education for pre-service teachers, academic staff development, and training and supporting student peer leaders. Katie Yamaguchi is the Peer Mentoring Project Officer with Student Life at UNSW Sydney. She manages the centralized operations for 27 different Peer Mentoring Programs across the university, including providing training to over 1000 Mentors who support approximately 4500 commencing students through transition each year. 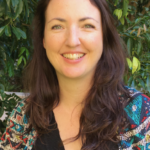 Katie brings 15 years of experience in education, training and facilitation, and event management, to create purposeful programs and training packages for ‘Peer Mentoring @ UNSW’. Recently, Katie’s focus has been in the Online Learning space, to create more flexible and accessible training packages. In 2017, she presented at the ANZSSA Conference on the development and successful implementation of a new Blended Learning Peer Mentor training package. Following on from that, Katie is now introducing digital badging into the training packages to make students’ achievements more recognizable. 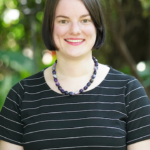 Katie is passionate about Mentoring and building a Mentoring Community of Practice, both at UNSW and across Australia/Internationally and is one of the Peers4Peers Network Ambassadors for the NSW region. Melissa leads the Peer Learning team, within the Learning, Teaching & Curriculum Division of the University of Wollongong, which includes 130 peer leaders and engages over 4000 students per year across 8 campuses. 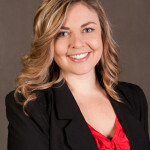 With over 10 years’ of experience in the design, implementation, management and evaluation of peer led programs (academic, cultural, social and wellbeing), Melissa has great enthusiasm for the value of peer programs in higher education, especially advocating for the strategic inclusion of peer to peer opportunities to complement and enhance traditional teaching and learning environments and support student transition and success. As Head of the National Centre for PASS and an International Certified Trainer, Melissa has had the privilege of delivering accredited PASS Supervisor training to hundreds of colleagues from Australia, New Zealand, Malaysia, Fiji, Singapore and China. The international success of the PASS model has inspired Melissa to identify key transferable elements which can be utilised to continuously evolve and operationalise peer based offerings to meet institutional and student needs. Melissa enjoys working collaboratively with colleagues to support innovation and sharing of best practice around peer programs, both at UOW and across the Australasia region/ Internationally. Boud, D. (2006). Situating academic development in professional work: using peer learning. International Journal for Academic Development, 4, 3-10. Crisp, G. & Cruz, I. (2009). Mentoring college students: a critical review of the literature between 1990 and 2007. Research in Higher Education, 50(6), 525–545. Ender, S., & Kay, K. (2001). Peer Leadership Programs: A Rationale and Review of the Literature. In Peer Leadership: A Primer on Program Essentials. Monograph Series No. 32, edited by S. L. Hamid. Columbia: National Resource Center for The First-Year Experience and Students in Transition, University of Carolina. Esplin, P., Seabold, J. & Pinnegar, F. (2012). The architecture of a high-impact and sustainable peer leader program: A blueprint for success. New Directions in Higher Education. Special Issue: Peer Leadership in Higher Education, 157, 85-100. Gidley, J., Hampson, G., Wheeler, L. & Bereded-Samel, E. (2010). From access to success: an integrated approach to quality Higher Education informed by social inclusion theory and practice. Higher Education Policy, 23, 123-147. Kuh, G. D. (2008). High-Impact Educational Practices: What They Are, Who Has Access to Them, and Why They Matter. Washington, DC: Association of American Colleges and Universities. Newton, F., Ender, S., & Gardner, J. (2010). Students helping students: A guide for peer educators on college campuses, (2nd ed). Jossey-Bass, CA. Shook, J. L., & Keup, J. R. (2012). The Benefits of Peer Leader Programs: An Overview from the Literature. New Directions for Student Services, 157, 5-16. Thomas, L. (2002). Student retention in higher education: The role of institutional habitus. J. Education Policy, 17(4), 423-442. Tinto, V. (2003). Learning better together: The impact of learning communities on student success. Higher Education Monograph Series, 2003-1. Higher education program, Syracuse University. Topping, K. (2005). Trends in peer learning. Educational Psychology, 25(6), 631–645. Yorke, M. (2006). Student engagement: deep, surface or strategic? Keynote address at the 9th Pacific Rim First Year in Higher Education Conference: Engaging Students. Gold Coast, Australia. Zepke, N., Leach, L., & Prebble, T. (2003). Being learner centred: One way to improve student retention? Studies in Higher Education, 31(5), 587-600.